Donald Kalsched explores the interior world of dream and fantasy images encountered in therapy with people who have suffered unbearable life experiences. He shows how, in an ironical twist of psychical life, the very images which are generated to defend the self can become malevolent and destructive, resulting in further trauma for the person. Why and how this happens are the questions the book sets out to answer. Drawing on detailed clinical material, the author gives special attention to the problems of addiction and psychosomatic disorder, as well as the broad topic of dissociation and its treatment. By focusing on the archaic and primitive defenses of the self he connects Jungian theory and practice with contemporary object relations theory and dissociation theory. 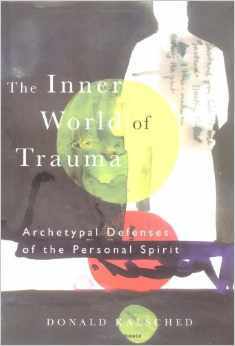 At the same time, he shows how a Jungian understanding of the universal images of myth and folklore can illuminate treatment of the traumatised patient. Trauma is about the rupture of those developmental transitions that make life worth living. Donald Kalsched sees this as a spiritual problem as well as a psychological one and in The Inner World of Trauma he provides a compelling insight into how an inner self-care system tries to save the personal spirit.